Thank you to all 300+ people from six countries and 23 US states who participated in the teach-in! A recording of the webinar portion of the event can be accessed here: http://www.anymeeting.com/BAYANUSA/EF53DD828247. Please forward the link to others who may be interested in the issues of the military pivot and the TPPA. A live, real-time webinar with international speakers providing critical analysis of the Pivot and the TPPA from the viewpoint of people’s movements resisting the expansion of U.S. militarization and imperialism. Presentations followed by Q&A, brainstorming and planning for local, grassroots actions to oppose the military pivot and the TPPA, as well as ways to support organizing happening in countries in the Asia Pacific region. • Online via webinar: Register at http://www.anymeeting.com/PIID=EA52D680884E3E. Participants must register to receive an individual-specific log-in link and password. closest train: 1 to 28th St or C/E to 23rd St. Sponsored by BAYAN-USA, an alliance of 18 progressive Filipino organizations in the U.S. representing youth, students, women, workers, artists, and human rights advocates. 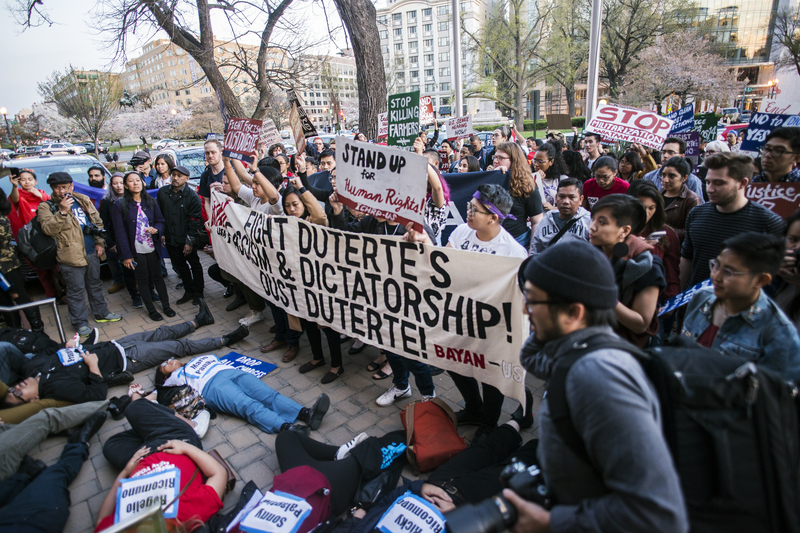 As the oldest and largest overseas chapter of Bagong Alyansang Makabayan (BAYAN-Philippines), BAYAN-USA serves as an information bureau for the national democratic movement of the Philippines and as a center for educating, organizing, and mobilizing anti-imperialist Filipinos in the U.S. If your organization would like to endorse this event, please email vc@bayanusa.org.